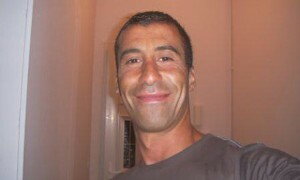 “If you are a Muslim and you leave Islam, it’s the obligation of every Muslim to come after you and kill you. Fortunately for me, and for other apostates of Islam, not every Muslim wants to kill us. But it is in scripture, and it’s very important that we discuss that…. No doubt, I would have killed them, for the Prophet said, ‘If somebody (a Muslim) discards his religion, kill him.’ … A group of eight men from the tribe of ‘Ukil … killed the shepherd and drove away the camels, and they became unbelievers after they were Muslims. When the Prophet was informed by a shouter for help, he sent some men in their pursuit, and before the sun rose high, they were brought, and he had their hands and feet cut off. Then he ordered for nails which were heated and passed over their eyes, and whey were left in the Harra (i.e. rocky land in Medina). They asked for water, and nobody provided them with water till they died. A good guided tour of the scriptural basis for Islamic fascism is available at TheReligionOfPeace.com, which keeps a helpful daily tally of terrorist attacks committed in the name of the Prophet. I haven’t paid much attention to “Everybody Draw Mohammed Day” since I first wrote about it, but a lot of other people have. The May 20th observation has its own (very lengthy) Wikipedia page, multiple Facebook pages, including one with more than 63,000 fans, an EDMD blog, and a contest by Reason magazine. 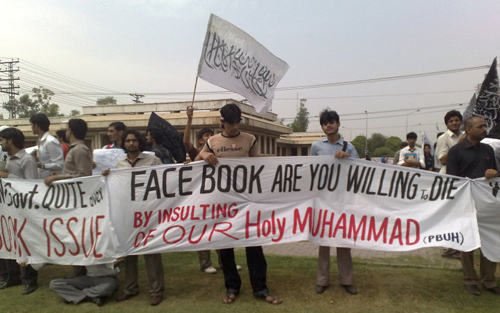 No casualties as of yet in the inevitable backlash, although there’s a tepid implicit death threat in the sign carried by Pakistani students, above. The main anti-EDMD Facebook page has more than 37,000 fans, and to their credit, the organizers are stressing non-violence. … at the heart of the liberal project is ultimately a recognition that individuals, for no other reason than that they exist, have rights to continue to exist. Embedded in all that is the right to expression. No one has a right to an audience or even to a sympathetic hearing, much less an engaged audience. But no one should be beaten or killed or imprisoned simply for speaking their mind or praying to one god as opposed to the other or none at all or getting on with the small business of living their life in peaceful fashion. If we cannot or will not defend that principle with a full throat, then we deserve to choke on whatever jihadists of all stripes can force down our throats. The theory behind “Everybody Draw Mohammed Day” is that the jihadis can’t kill all of us. Let’s hope there are no casualties at all. 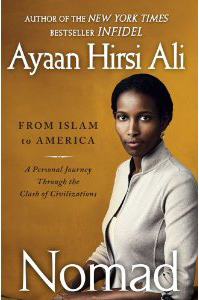 Meanwhile, Ayaan Hirsi Ali’s new book has downloaded to my Kindle, and I’m going to settle in to read about a woman who truly has stared death in the face in the cause of free expression. In today’s Wall Street Journal, Ayaan Hirsi Ali calls for a campaign of solidarity with the makers of South Park, who were the targets of veiled death threats after daring to invoke the name of Mohammed on their cartoon show. The entertainment business, especially Hollywood, is one of the wealthiest and most powerful industries in the world. Following the example of Jon Stewart, who used the first segment of his April 22 show to defend “South Park,” producers, actors, writers, musicians and other entertainers could lead such an effort. 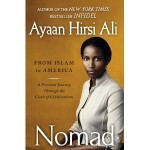 Another idea is to do stories of Muhammad where his image is shown as much as possible. These stories do not have to be negative or insulting, they just need to spread the risk. The aim is to confront hypersensitive Muslims with more targets than they can possibly contend with. Another important advantage of such a campaign is to accustom Muslims to the kind of treatment that the followers of other religions have long been used to. After the “South Park” episode in question there was no threatening response from Buddhists, Christians and Jews—to say nothing of Tom Cruise and Barbra Streisand fans—all of whom had far more reason to be offended than Muslims. 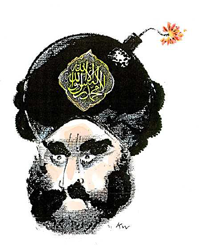 It will be interesting to see if any groundswell arises in support of the “May 20 Is Everybody Draw Mohammed Day” movement. I still haven’t seen any explanation as to why May 20 was chosen — I’m a little disappointed that Ali didn’t use her WSJ megaphone to support that effort.